It is the mango season and the time to enjoy the King of Fruits. 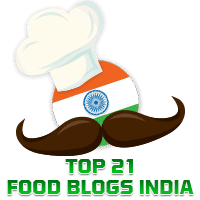 Elsewhere in this blog you will find recipes for Aam Ka Lassi and Aamras.. Yesterday, I made Mango Phirni out of a few delicious Alphonso (also called Haphoos) mangoes we bought. Of course, we can use any variety of mango as long as they are sweet, but Alphono is the best. As the day was hot, I decided to make a cool Mango Phirni, the recipe for which is adapted from the YouTube video by Master Chef Sanjeev Kapoor. The amount of sugar used will depend on the sweetness of the mangoes. Some choose to make the phirni and add mango cubes, but I prefer to puree the mangoes for which generally two mangoes yield about 1 and 1/2 cups of puree. Wash and soak the Basmati rice in water for about an hour. Keep aside. Peel the ripe mangoes, chop them into pieces and blend them to a puree in a mixer. Keep aside. Soak the pistachios and almonds in warm water for 5-10 minutes, drain, peel and finely slice them to be used for garnishing. Keep aside. Grind the soaked rice with a little water to a coarse paste. Make sure the ground paste is coarse and not smooth.